In South Sudan, we lead the field in providing consistent, quality, and reliable primary health care services to people living in some of the most remote places in the world. And part of providing that care involves reporting what’s happening in the clinics to health officials. This reporting is incredibly important. It keeps clinic staff accountable and, just as critical, it helps to monitor any potential disease outbreaks – and respond to those outbreaks as needed. Yet, health facilities in South Sudan are often located in remote and hard-to-reach locations, making it difficult for ARC staff to submit disease surveillance reports on time. This poses a health risk – the long distances and difficult terrain health workers cover to hand-deliver paper reports means that staff are often gone for a few days at a time, leaving patients waiting. And, not only are patients unable to access care while health workers are away, timely response in the event of an outbreak is hampered. ARC South Sudan’s new technology-driven initiative, named mHealth, is working to change all that. It allows health facility staff to use their personal mobile phones to send weekly infectious disease surveillance and response reports through text message to the County Health Department. The cell phone system provides instant feedback to the health facilities and works to notify health officials in case of an epidemic. 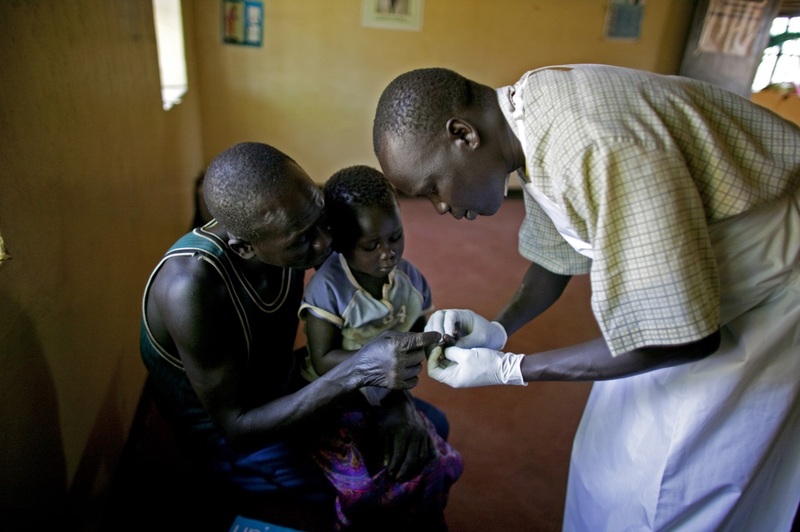 This simple yet effective project has revolutionized health reporting for ARC in South Sudan. It has improved access to patient care and communication across the country, overcoming transportation challenges from remote areas. Now, ARC staff do not need to leave their post to deliver the report, enabling them to spend more time with patients and monitor and report on any disease outbreaks that do occur quickly and efficiently. And, others are taking notice. The Government of South Sudan has asked ARC to scale-up mHealth to more counties throughout the country. Using technology to design health solutions, we are continually thinking up new ways to provide the highest possible quality care to those who need in most in South Sudan.